This past week I have the privilege of meeting John Lyons as he and his wife Jody and crew stopped in Las Cruces, New Mexico for a few days enroute to the San Antonio Stock Show and Rodeo and offered to do one of his "Three Hours with John" sessions. In the "3 Hours with John" format, Mr. Lyons addressed questions from a small group, 16 people in our case, and outlined his simple philosophy in training horses, using his 19 year old horse, Preacher. That's Preacher in the photo at right checking out all the stains on my hat. 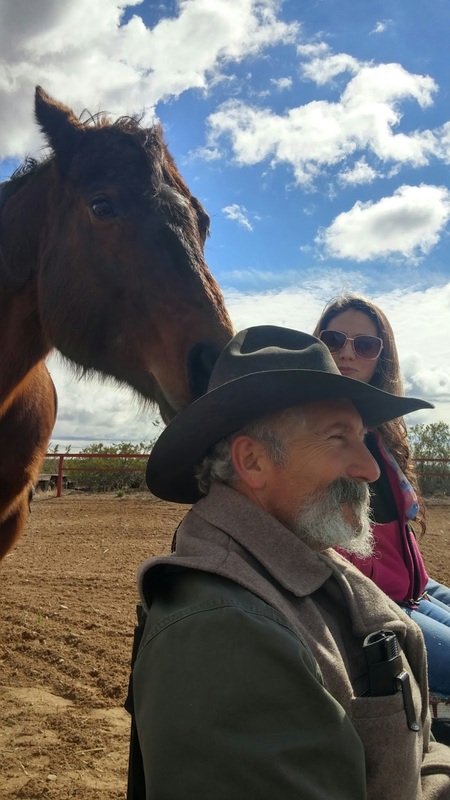 As John talked, he allowed Preacher freedom to roam around and explore the area at Red Sky Farms, outside of Las Cruces and situated in the shadows of the beautiful and rugged Organ Mountains, calling preacher to lope over to him whenever he wanted to use him to explain a point. John, in his engaging manner, really tried to clear away a alot of mystique around horses, their behavior and training, explaining that it (horse training) is really simple which reminded me of the saying "It's simple, just not easy". I'm not going to try and write about some of things John was explaining because I'll likely get it wrong and it would be a disservice to Mr. Lyons. But I will say that some of what he had to say is making me relook at what I do with horses, and that alone made the whole day valuable. As John was talking he would call Preacher over to him, demonstrating control on the ground of Preacher's head, neck, front and back ends through subtle use of the reins. You can see the Organ Mountains in the background in the picture of john and Preacher, above left, and those rain clouds relented after two days of rain to give us a very cold, windy day. As I looked down the line of people there to hear John, about everyone was wrapped in horse blankets - that was a fairly dedicated group. The most exciting part, at least for my wife, was when John had my wife stand between him and Preacher and cued Preacher to lope right at wife, stopping right in front of her. Now my wife has stood her ground many times in front of pushy or charging horses, so that wasn't too scary for her, but it demonstrated Preacher willingness to come when called, at any gait, and was a crowd pleaser. The picture at left is Preacher, my wife and John during this demonstration. My wife and I first came across John Lyons over 20 years and were just not going to miss the opportunity to travel to meet him and listen what he had to say about horses. 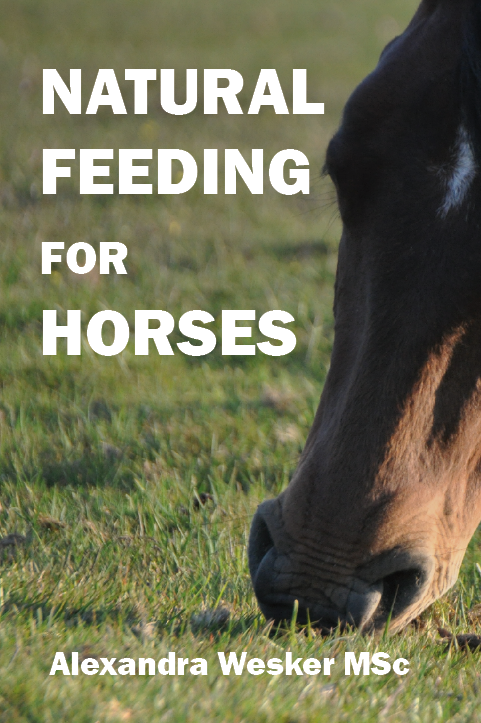 About 18 years ago I bought my wife John's series of Making the Perfect Horse books to use as a reference and to loan out to her riding students. John offered the usual assortment of books, manual, DVD's and equipment for sale, but made an important point that most people have a lot of equipment, so he always recommended buying knowledge before equipment. After the session my wife and I talked to John and Jody, two of the nicest people you will ever meet, and promised to stay in contact with each other and discussed the possibility of John doing a session or clinic at our place in the next year. You can go to John's website and look at this schedule for the clinics he does around the country, as well as the knowledge products he offers which are well worth your money.